In celebration of its return to Toronto, this week’s performance will be from Les Miserables. 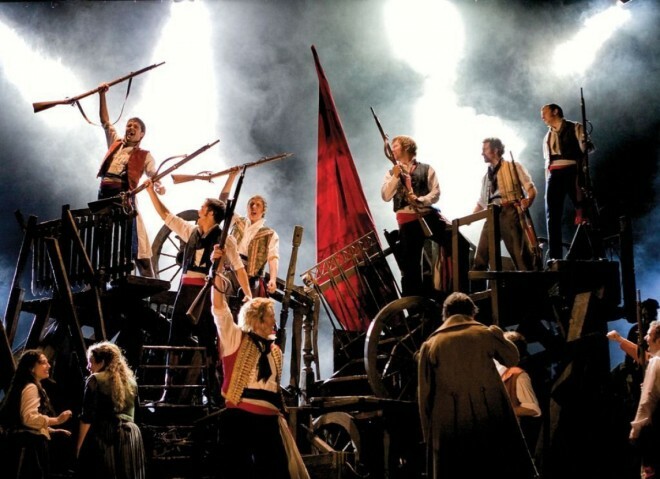 It’s incredible to think that it has been over 25 years since the original production in Europe and Les Mis is still one of the most beloved shows in the world. Over that span of time, it has seen professional productions all over the world including Paris, London, New York, Toronto, Madrid, Argentina, Mexico, Spain, and many more! With the renewed popularity in the show as a result of the movie (not that it was ever waning…), Toronto will see a new production starting in just a few weeks at the Princess of Wales theatre. The last production in Toronto was based on the original staging by Trevor Nunn and John Caird but this new 25th anniversary production will bring an entirely new vision to the show (no revolving turn table!). To top it all off, the cast features some of Canada’s brightest stars including Lisa Horner, Samantha Hill, Marisa McIntyre, Melissa O’Neil, Aaron Walpole, Genevieve Leclerc, Mark Uhre and Ramin Karimloo (of London fame but grew up in Richmond Hill). Who’s excited to see this production? I consent to receiving electronic messages with information on The Musical Stage Company and its activities. © 2004 – 2019 The Musical Stage Company. Designed & Maintained by Ted Rouse, Takedanger Design.